Hello 6P! We just got done with Charlotte, but this week we’re already headed towards Portland as our next big event. Most importantly, we have a new card which will coincidentally be legal for the first time this upcoming weekend. Lucario-GX will certainly be making a big splash in the metagame, so let’s dissect the card and what makes it so good! 210 HP – Nothing out of the ordinary anymore for Stage 1 GXs. 200-210 HP is their normal range now, with none of them quite having 220 HP (yet). The 10 above 200 gives a little bit of room to plan for potential plays around Dangerous Rogue GX. Cards like Evosoda fulfill the condition. Evosoda helps improve the consistency of the deck by finding Zoroark-GX or another partner. You don’t rely on a free retreater such a Tapu Koko to activate the effect. You can simply promote the Riolu and wait until the sequencing of Lucario is relevant. The deck should, or will, most of the time be playing Acerola, so resetting the effect shouldn’t be complicated. Fighting is arguably one of the best types at the moment due to the popularity of Zoroark-GX, and 120 is enough to score the OHKO. 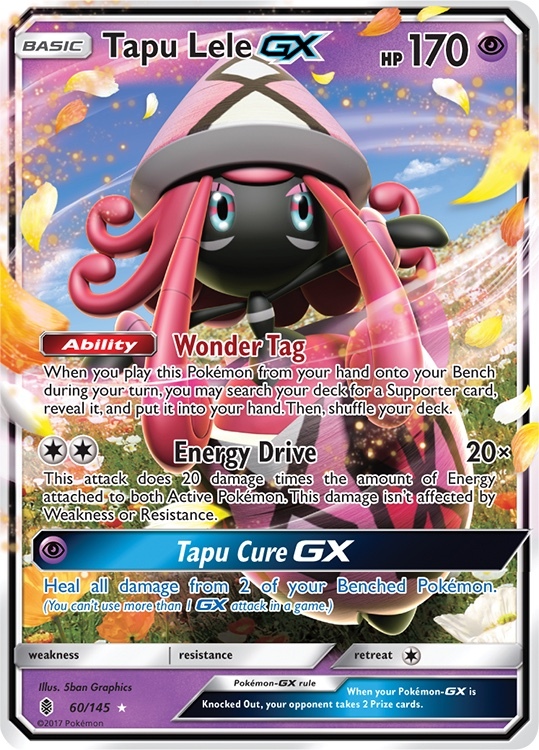 Speaking of Fighting type, this allows Lucario-GX to take advantage of Strong Energy, and so, when combined with a Choice Band, the damage increases to 170, leading to a OHKO on Tapu Lele-GX. With one or more Regirock-EX, it could go even higher to hit other key numbers such as 180 (Volcanion-EX, Drampa-GX) or 190 (Buzzwole-GX, Turtonator-GX). Cyclone Kick – No juicy attack text here, but 130 for FFC is solid. When you take Strong Energy and Choice Band into account, you’ll likely be hitting in the 170-220 range. If you manage to power up to this point, it’s likely the match will be over soon. Cantankerous Beatdown GX – The hidden gem of this card that basically makes it untouchable. This is the same attack from Tauros-GX, except on a card with higher HP and other more obvious advantages than Tauros itself. I am genuinely surprised the attack cost wasn’t FC for this. Through my testing, I’ve seen many games where my opponents have no choice but to attack into Lucario, knowing full well that the GX attack will punish them for it, but it’s their only way to deal with it. Psychic Weakness – Most decks are currently playing Mew-EX as a way to deal with Buzzwole, and this directly impacts Lucario. However, Zoroark makes quick work of Mew, and so does a 2nd Lucario. CC Retreat Cost – Nothing too impactful here, but having the option to free retreat for a DCE is always great. It’s a very straightforward way to go about it, but I like it that way. The idea behind this deck is to be incredibly aggressive, and it has a “3 turn” game plan. It is structured as a standard Zoroark deck, similar-ish to ZoroPod or the LycanZoro of Memphis, but with a much more aggro approach thanks to the 1 energy attack. You try to get an initial KO on a Zoroark-GX or Tapu Lele-GX (both have high chances of being benched in the early turns of any match). After that, your opponent has 2 options: play around the Lucario, using Guzma and avoiding the GX attack, or hitting into it and setting up a 2HKO. If they hit into it, next turn involves setting up another Lucario on the bench to pick up the final KO, whilst using the GX for your next 2 prizes. Finally, we’re looking for a last Guzma to set get a KO on another Zoroark or Tapu Lele-GX. The deck preys on the current format and what benches usually look like. It has some other glaring Weaknesses, but by targeting down both of those Pokémon, or forcing your opponent to limit how many/which ones they bench, it will immediately impact their whole game plan. It’s a simple strategy, but so far it’s quite effective, and you have Zoroark-GX to help you pull through games where your opponent is able to successfully play around the GX attack. Other cards I’ve contemplated adding to the deck are Professor Kukui, which allows for Lucario-GX to deal that extra damage, or Regirock-EX for the very same reason. For now, in this convoluted Zoroark-GX deck where bench space (for other Zoroark and Lucario are at a premium), Professor Kukui seems like the clear winner. The other version that has been testing out decently well for me is a more pure Fighting approach, combining Buzzwole’s archetype with Lucario-GX, and trying to utilize Octillery as well for support. This will open up quite a bit of bench space for things like Regirock-EX, and I’ve even toyed around with the idea of a 1-1 Lycanroc-GX line for support. This list is an easier way to go about the archetype, and possibly a more versatile way too. If your opponent tries to play around Lucario’s GX attack, you have Lycanroc’s, or even Buzzwole’s, to power through. Oricorio is the preferred Mew-EX counter for the deck, and the space saved of having one Octillery over multiple Zoroark allows for Regirock-EX to multiply on the bench—allowing Lucario to reach farther for KOs. I’d say the list is more straightforward than the previous one, and it certainly misses the use of Max Elixir sometimes. Not having the “randomness” of Max Elixir in exchange for a surefire way to deal high numbers for a single Energy, is certainly an appealing aspect to the deck, as it strives to reduce the “randomness” of games. Just think about for a second: how many games this past weekend must have been won or lost simply because of a single Max Elixir hitting or not? Lucario-GX is the newest “shiny toy” around, and Portland will be its first legal date, as previously mentioned. This, plus the mentality of “the card is so good and Fighting type and anti-Zoroark” is enough to expect to see it getting played quite a bit. Add to that how it really is that effective, and I would not be surprised to see it take up a good percentage of the meta share this upcoming weekend. So combining this and the results from Charlotte, which saw Buzzwole/Lycanroc just completely run over the competition, means the meta for Portland is expected to be high in Zoroark decks, high Lucario presence, and high Buzzwole presence. This leads me to a deck that I’ve had in the back of my mind and have continuously mentioned, and was my top choice for Collinsville had I attended: Espeon-GX/Garbodor. I feel (and genuinely it’s purely a feeling) like this weekend will finally be poised to be the best one for success of the deck. First off, Ability lock is always welcome, and we’ve even seen Zoroark decks attempt to play an Ability lock with Garbotoxin and Bursting Balloon. We’ve also seen quite a few combinations with Dusk Mane Necrozma-GX and Buzzwole-GX have some success, with the latter proving the most successful. So, Ability lock is appealing—and we have it. Remember Costa Mesa? The strategy still applies the same, and I’ve actually considered very seriously adding a Road Block Sudowoodo for the sole purpose of making Zoroark 2HKO Trashalanche, rather than OHKO with a full bench. Double Drampa-GX denies Special Energy, and is a very hard hitter throughout the game. Its GX attack can also save you in a pinch. The 2/2 Espeon-GX line ensures you have a solid Psychic type attack which can wreck havoc, with Confusion dealing 120 for a single Energy and a Choice Band: a very effective strategy if Oricorio and Mew FCO from this weekend are any indication. The 4/2/2 Garbodor line provides Ability lock and access to Trashalanche for the late game. There are times where I wish I was playing a 5/3/2 line for extra Trashalanche in the late game, but with Professor Sycamore at an all time low, the early unintentional discards are no longer common. We do have Zoroark-GX decks playing extras with their Puzzles of Time, though. Other cards to be considered are Road Block Sudowoodo as I mentioned, possibly instead of Parallel City, as it’s a “permanent” bench limit effect, even though it’s one less. Espeon-EX is another potentially good card, but one I never found a good place to be use, as by the late game, Trashalanche was always doing enough damage. 10 Draw Supporters, 8 Tools, triple Guzma, and double Parallel all allow the deck to work extremely well. Even with many lists at 3 Field Blower, the deck has coped well with Zoroark variants, and it has dealt well with Fighting type decks even when they try to power up a Lycanroc with low item usage—Tapu Lele, Confusion, and Psychic go a long way in dealing with the lone one they might actually be able to set up. Acerola is the last card that I sometimes wish I had, and I’ve considered dropping 2 Energy for a pair of them. However, it’s not exactly easy to have a full lock against decks like in Expanded, as Zoroark decks are always paired up with something else. That something else, be it Golisopod, Lycanroc, Gardevoir, etc., are usually the Pokémon Drampa, Espeon or Garbodor need to go through, before you can fully lock their energy down with Righteous Edge. This makes it so that the conservative approach is actually hard to pull off, as you have Basic energy to deal with, and picking up an Espeon-GX doesn’t always allow you to just play it back down and evolve again with Energy Evolution. Taking down Pokémon is how you deal with the Basic Energy attackers, so even having damage on the field is good to activate Berserk. 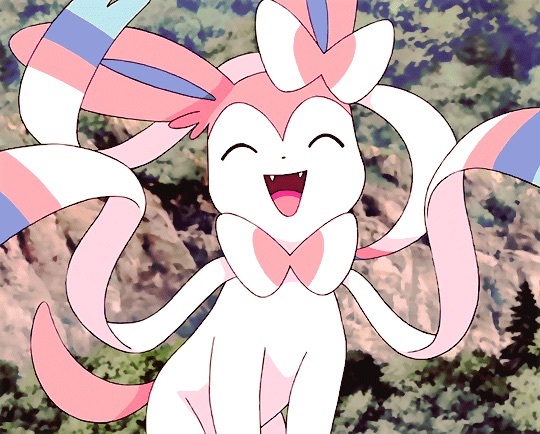 One last deck I’m seriously considering is Sylveon-GX. Despite its recent success at Charlotte, I don’t think many players will actually test against it or be ready for it, simply because it won’t be a popular deck at all. However, the control aspect of the deck is very appealing, and I believe it can easily outrun Zoroark decks, specifically using Gardevoir GX’s Twilight GX attack to reutilize resources and also just overwhelm the opponent. The one card I would maybe consider taking out for the 4th Crushing Hammer would be the Professor’s Letter, which makes sense but feels too safe if you will. The Hoopa inclusion allows you to create a few unwinnable scenarios against opponents, where things like Buzzwole/Lycanroc decks have mediocre counters at best for it, such as Wild Kick Rockruff, Oricorio or Mew, and some like ZoroPod have to rely completely on Oranguru, as their low damage basics such as Tapu Koko, Zorua, and Wimpod simply don’t get the job done against all the energy denial. It’s definitely a risky deck to play, with donk possibilities and just the “slow’methodical way to win games in a Best of 3, 50 minutes environment. However, I’m feeling in a disruption kind of mood lately, and this deck is much more focused on that than Espeon/Garbodor. And that’s all from me today amigos. I’m hoping Portland will be my comeback tournament, as 2018 has not been kind to me. Out of 4 majors, I’ve accumulated 80 CP, 2 less than this Quarters Cups (82 CP), which is honestly very unimpresive for my goals and own standards. I’ll be looking to remedy this situation this weekend, and hopefully come back with a bigger haul of CP. Thank you so much once again for reading, and please reach out to me on any of my social media (linked on my profile) if you have any questions regarding the article. Until next time!